Comic book videogames have enjoyed varying degrees of quality over the years, but their stock has rarely been higher than now. Batman: Arkham Asylum and the upcoming Batman: Arkham City are critically acclaimed, while Spider-Man has been holding up Marvel's end with the well received Spider-Man: Shattered Dimensions. 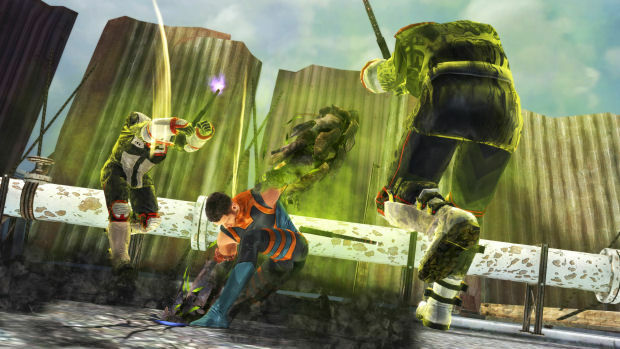 With X-Men: Destiny, Silicon Knights hopes to follow up on these triumphs by giving the X-Men a game to be proud of. Silicon Knights did not succeed. X-Men: Destiny's first big mis-step is in forcing players to choose between three "original" characters with very limited, linear abilities. Although each playable mutant has a backstory, none of them possess any real personality, and their super powers are restricted to one of four basic types. 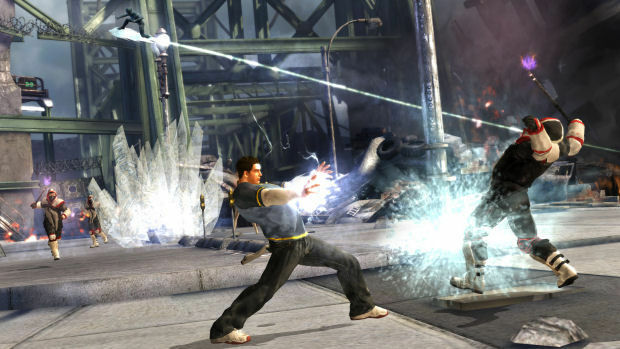 At various stages of the game, players get a "choice" between one of two new abilities, determined by their main starting power. There is some basic customization to be had by equipping the "genes" of established X-Men characters. Genes come in three varieties -- Offensive (attack bonuses), Defensive (defense bonuses) or Utility (bonuses to speed, jumping or dodging). 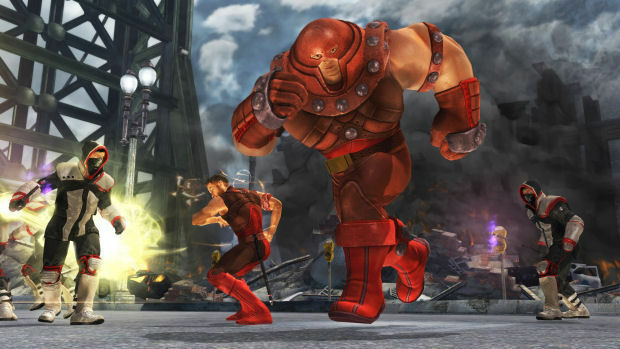 For example, equipping Toad's offensive gene causes attacks to become poisonous, while using Juggernaut's utility ability turns dodge maneuvers into powerful attacks that knock opponents back. In addition to genes, there are also suits to be discovered throughout the adventure, based on Marvel's heroes and villains. These suits are mostly cosmetic changes, but if the player finds and equips all three genes related to the same character, they can unlock an X-Power. This is a powerful, temporary status that grants even more bonuses to attacks. X-Men: Destiny frames itself as a roleplaying game, but nothing could be farther from the truth. It is, in essence, an incredibly shallow button-masher and nothing else. For a game so focused on player choice, there are very little in the way of tangible options. You don't create your own character, most of the abilities and suits are only slightly varied or cosmetic in nature, and the pathetic narrative choices throughout the game seem to make very little difference to how it's actually played. 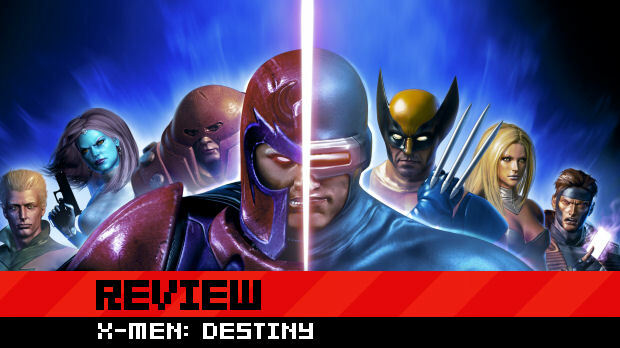 The game keeps setting you up to choose between Cyclops' X-Men or Magneto's Brotherhood, but your character's attitude remains the same and often runs contrary to your choices, while the missions are essentially unchanged. 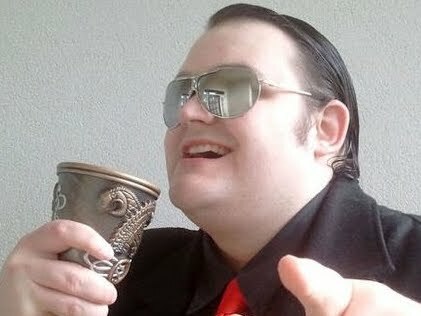 There are sidequests that can be undertaken in order to curry favor with a faction, and by sidequest, I mean that you find a character, accept their mission, get whisked away to a small "challenge" arena and have to kill everything until you win. Earning the approval of factions seems to influence nothing. It appears to just be there to look like it does something. With its half-hearted attempts at dialog trees (although a branch-less trunk would be a more fitting metaphor) and insulting shallow character customization, X-Men: Destiny is a game that is interested only in aesthetically resembling an action-RPG, rather than actually being one. You'll be led to believe that your choices make huge differences, and that the game could open at any second to feel truly sprawling and deep, but it never happens. Characters talk about choices without offering any and speak highly of things to come that never occur. 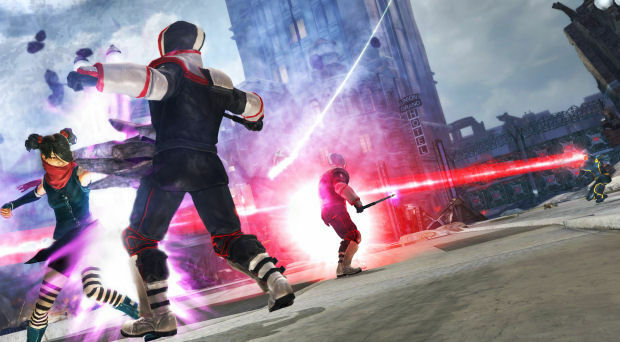 This might not be so bad if the game was any fun to play, but unfortunately Silicon Knights took the same skin-deep approach to combat as it did to everything else. I'm a fan of hack n' slash gameplay, but Destiny is limited and repetitive to such a degree that it makes Dynasty Warriors look complicated. You fight the same enemies almost from beginning to end, your combos -- such as they are -- rarely evolve and are visually lackluster, and there's barely any player feedback to the attacks. You could close your eyes, smash the controller with your first, and most likely get through huge portions of the game without a care in the world. This issue is carried over into the bosses, most of which require the same button-mashing approach to defeat. The final boss is amazingly insulting in this regard, since it's nothing more than a repeat of two bosses (and a recurring mook enemy) already during the course of the game, except slightly easier. Larger bosses consist of the same tired, "dodge attack, hit obviously exposed weakpoint" strategy that we've seen a thousand times before, with no attempt to be even faintly clever or surprising. Unskippable cutscenes and dialog that one is forced to listen to -- even if the player accidentally hits the same dialog option twice -- completes the picture to create one of the biggest wastes of time released in recent memory. The best that can be said of the game is that it at least works, and features a pleasant variety of X-Men characters, including some of the lesser known ones. There's a huge amount of potential in the character building and it can be quite cool to see what effect the genes have on a character's abilities, but the overwhelming simplicity and repetition kills any lasting excitement that can be had, especially once you realize that the only truly noticeable difference in genes is in determining what color your attacks are. To cap it all off, X-Men: Destiny is unpleasant to look at. With its washed out colors and empty, grey environments, it resembles a game that would struggle to look decent five years ago. The voice acting is largely terrible, the music completely forgettable, and one has to wonder if anybody on the development team actually cared about what they were building. 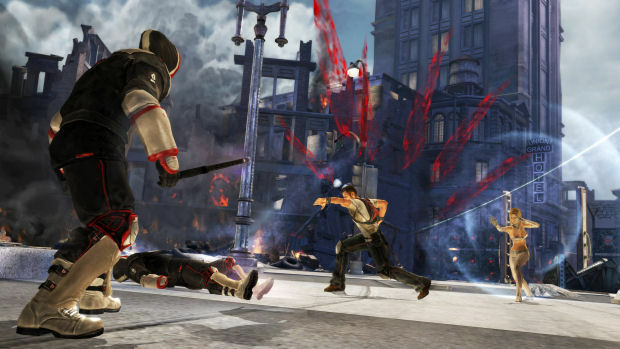 It looks thrown together, rather than fully developed, cobbled from bits lying around on Silicon Knights' studio floor and given just enough attention to make everything work. X-Men: Destiny is an ugly, boring, lazy little game. Even if it were free, it would be insulting to have one's time wasted in this way, but the fact it's being sold for sixty dollars rubs salt in the wound. It tries to eke out an existence by pretending to be a far richer and more satisfying game than it is, but the promise of a better experience only serves to hammer home just how bad the final product actually is. The only purpose Destiny serves is to demonstrate exactly what happens when developers don't care about what they're making. It's an exercise in apathy, and any customer who buys it would be within their rights to feel angry that they paid good money for something that never had any intention of being enjoyable, existing solely to make easy money off a comic book's name.